So, does the Invisibobble live up to its claims? Traceless? Yes, it is completely traceless, I have tried it in both my naturally curly hair, and my blow-dried straight hair. Both times it had no kinks, and my Aunty with thinner hair than me, also tried it and was left with no kinks. Whether it refers to it being IN your hair, I don't know, but it isn't very attractive, but in my eyes, neither is a regular bobble. Caring to the hair? This works because there is no metal, and the ends are sealed together so that it won't snag your hair. It is tons better than even the metal free bands I've used in the past, which still pull out strands of my hair. When I take one of these out, it slides out with ease and pulls zero hairs out with it. Avoids headaches? I can't put this one to the test, as I only get headaches from reading without my glasses, and I never have a bobble so tight that it would cause headache. But I can imagine how this would avoid headache, as the weight being evenly distributed means your hair feels a lot less restricted and a lot less "slicked-back." They also claim that these have a bracelet feature, meaning when you're not wearing them in your hair, you can wear them on your wrist. Which is fair enough if you're 12, but in all honesty, I'm turning 19 very soon, I shouldn't be wearing a telephone cord shaped bobble on my wrist. 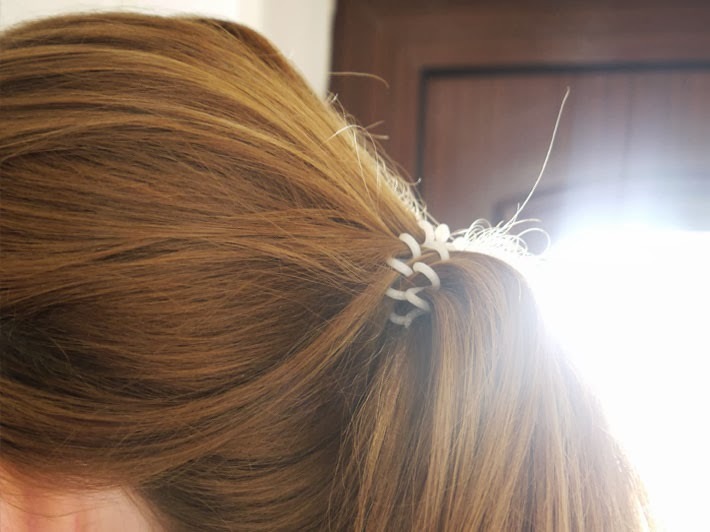 Being as partial as I am for a ponytail at the top of my head at the end of the day, these are an absolute saviour, and are one of the best bobbles I have tried, have zero gimmicks and fully live up to the claims Invisiboble makes. 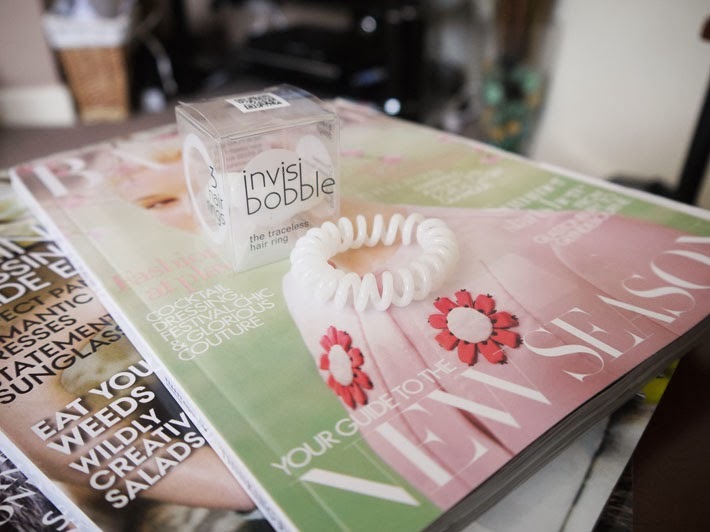 Invisibobble is available from Feelunique, and is £3.75 for three hair rings. Find here. I seriously need to try this! This looks like a great product! I hate when regular hair bands make that strange dent in my hair. Does this stay put for the most part? It's the first time I've ever heard of these, but what a great idea! I hate getting kinks in my hair, especially overnight when I too like to tie it up. If I only tie it loosely I find the band is nowhere to be seen come morning, so these look like they could be a great option for me! Ooooooh what a very tempting purchase!! These look really great. Hopefully if I buy some I won't lose them like I usually do with hair ties! !